Being the Nation’s Capital, Ottawa is host to many conventions and events at the newly constructed Ernst & Young Centre, a marvellous convention space located at the Ottawa Airport. It is widely used and attended by thousands of people each year but unfortunately it can only be easily accessed by the Airport Parkway and Uplands Drive, which undoubtedly causes traffic woes when an event at the EY Centre is taking place. Compound this with air travellers trying to catch their flights at the airport and you now have people missing flights because of convention traffic if they don’t allow for the delays. This problem will get worse as our city grows and more people use the convention facility. 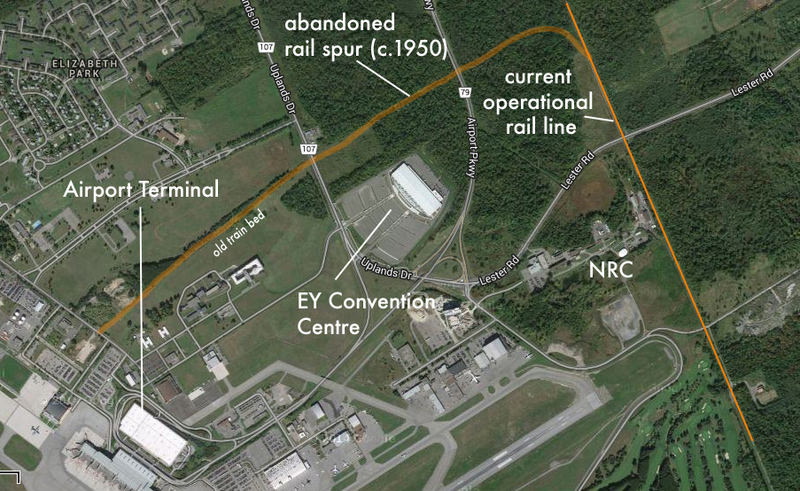 A solution may be to resurrect a long forgotten 1950’s railway spur that used to connect the still operating O-train/CP line to the airport. 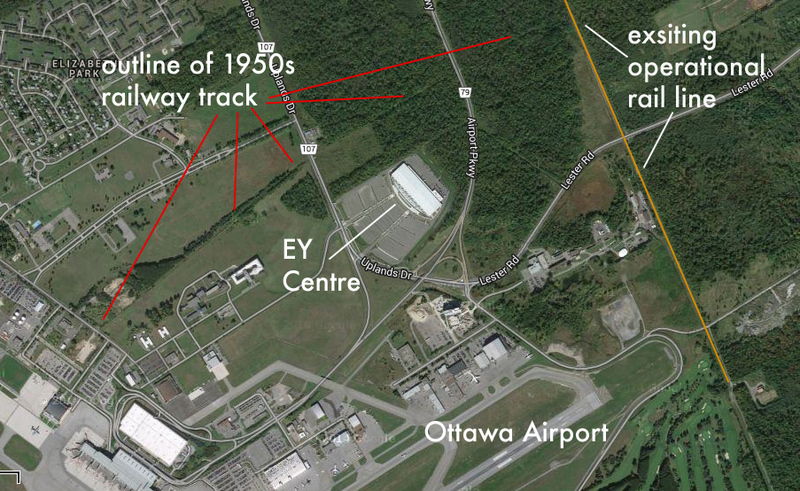 When the Ottawa Airport was a World War Two training base, it was called Uplands Air Base, or No.8 Service Flying Training School. 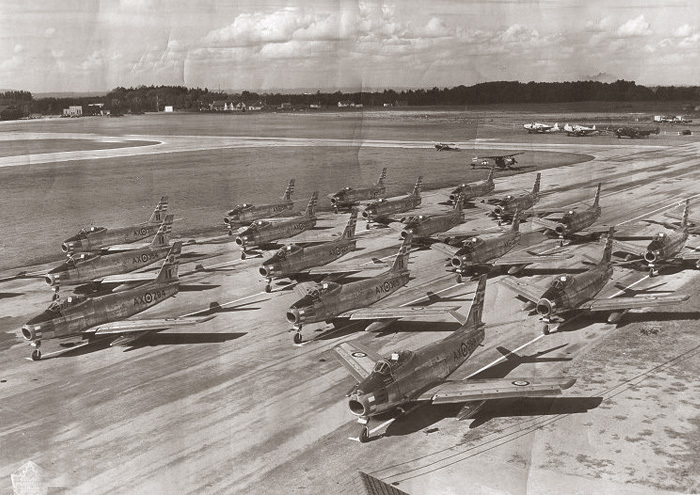 It trained pilots for service as fighter pilots during the war, but when the Second World War ended, Uplands became home to the jet age, and CF-86 Sabre fighter jets were stationed there as well as many other military aircraft. This called for a massive extension of the old airport with new runways and hangers having to be built. To accommodate the large scale construction, materials had to be brought in on a massive scale, so a rail spur line from the existing Canadian Pacific railway was built. Materials for the new air base construction could now be easily transported into the airport from the St. Lawrence river docks at Prescott. 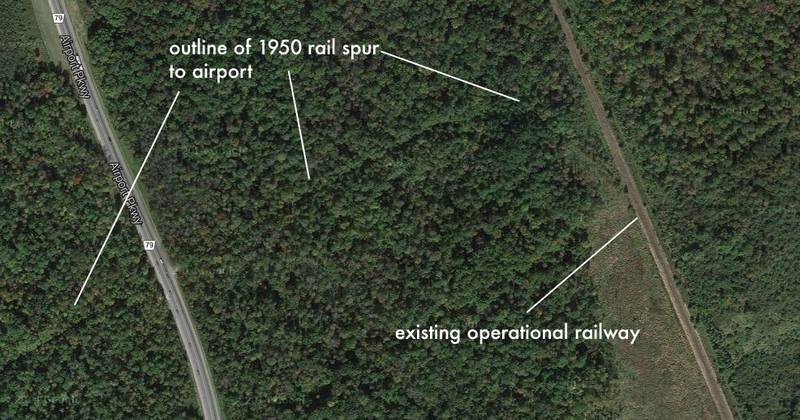 The 1950s rail spur line curved west from the CP line and crossed the current Airport Parkway where it terminated over by the airport hangers and terminal. It was used to bring in munitions, equipment and other material during the busy Cold War days of Uplands Air Force Base. The rail line was abandoned sometime later when the base closed and the railway was no longer needed. The tracks were pulled up, but the the gravel rail bed still exists and remnants of it can be seen today. With the O-train currently using the existing CP track, an extension spur could possibly be resurrected using this old 1950s rail bed. 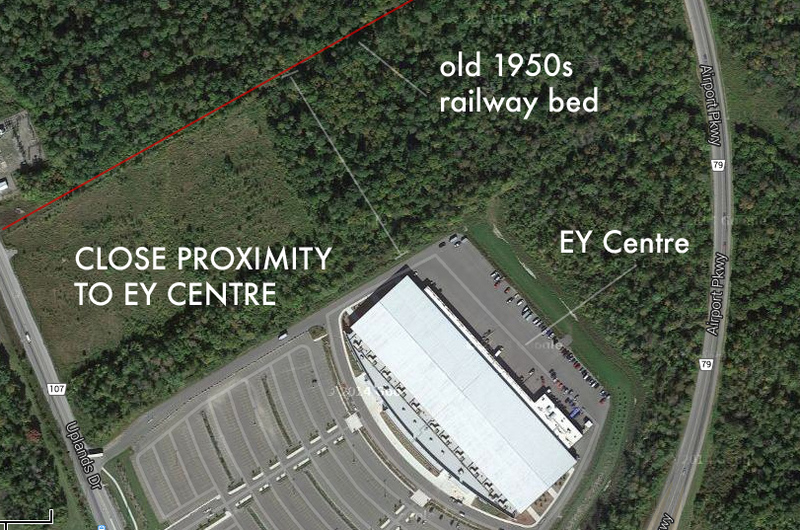 The old railway passes very close to the new EY Centre and with a station there, it could be used to bring visitors to the convention centre from the downtown with ease and also ease car traffic congestion that seems to be a growing problem. The line could then continue west right over to the airport terminal, giving air travellers a swift, efficient option of entering and departing our airport. 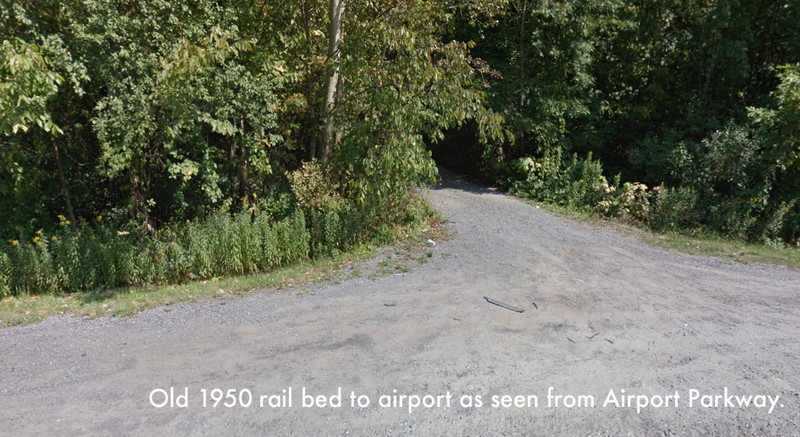 The old Uplands ghost train could be brought back to life by placing new tracks on the old railbed and in the long term, provide our fine city with the airport train service it needs and deserves.